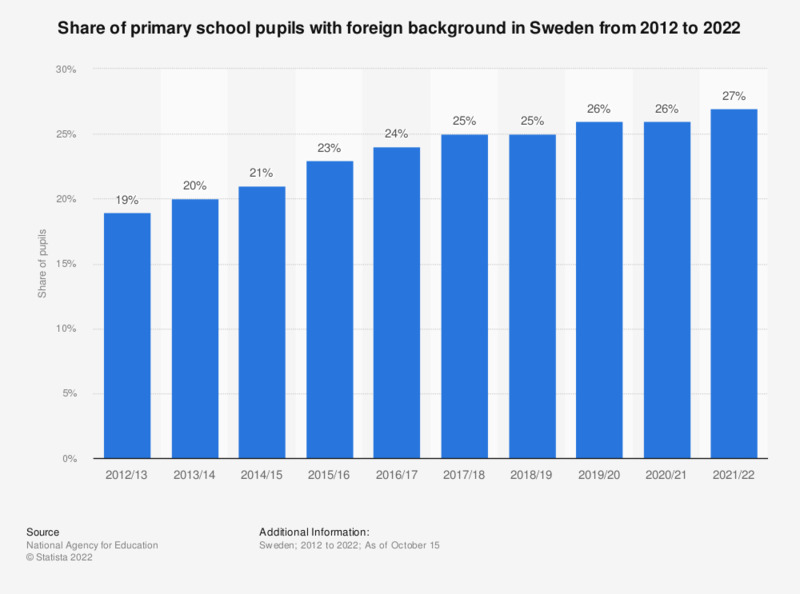 This statistic shows the share of pupils with foreign background in primary schools in Sweden from academic year 2009/10 to 2014/15. The share of pupils with foreign background stood at 21 percent in 2014/15, which is an increase by 3 percent from 2009/10. Primary school in Sweden is mandatory for all children between age 7 and age 16.